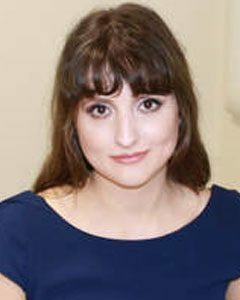 Alexandra Iordachescu completed her doctoral training in Chemical Engineering in 2017, in a joint project between the University of Birmingham and University of Oxford. Her work focused on developing organotypic bone-like tissue in vitro, providing a new platform for pathological research, drug screening and with the aim of ultimately reducing the number of animals used for skeletal research. Her areas of expertise span a wide range of life sciences, including physiological, biomedical and space research. Alexandra provides support with the development of medical technologies through assessment of cyto-/histo- toxicity, compatibility and efficacy using organ-like culture systems; optical and chemical characterisation as well as pharmacological testing. She is experienced in a wide range of novel techniques and instruments for characterising device-biological interactions, from the nanoscopic level through to whole-system effects.